Download the PDF for a small contribution fee! We proudly presenting our March issue. 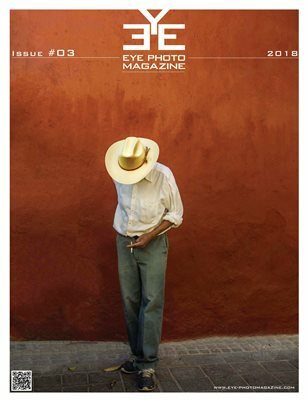 Important Information: EYE-Photo Magazine is an online publisher. All our publications are optimized for online reading or PDF viewing. The offered print versions are only a service towards our readers, who like to have the magazine as print in their hands. Although we're striving to optimal quality, we do not have any influence on MagCloud's or Peecho's printing quality and do not take any liability on their work. We proudly presenting our first issue in 2018! Our cooperation with John Hughes and his photo group on Facebook - "no rules street photography" continues and we presenting their weekly selection in our new column.